Lego has released LEGO Pull-Back Racers 2.0 game for Windows 10. LEGO Pull-Back Racers 2.0 game is now available at Windows Store for Windows 10 PC and mobile devices. Buckle up, it’s time to hit the gas! 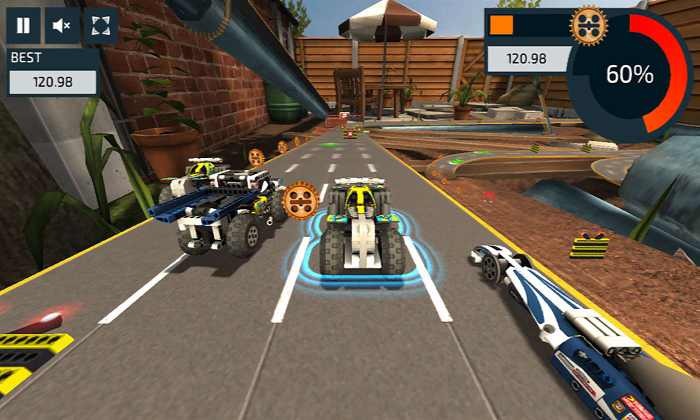 Pull back and let go to accelerate into the all-new, action-packed lane changer challenge, LEGO Pull-Back Racers 2.0. Glide along the super-fast speedways in the sleek Record Breaker or power across the rough and rugged terrain of the dirt tracks on the Quad Bike. To become the ultimate racing opponent, combine the two to reveal the Extreme Off-Roader in this full-throttle adventure ride. You can download the game from Windows Store or from the link below.